Can you believe how quickly 2013 has whizzed past us? For me this year has been quite a mixed bag – some really wonderful and incredible things have happened, along with some not-so-great experiences. Either way, all experiences teach us things, and just for that, a celebration is always in order before the year ends. And what better way to end the year than with a show-stopping party dish like this one? If you’re anything like me, you need vegetables to look and taste their absolute best before they are allowed to enter your mouth. This is a dish that does just that. 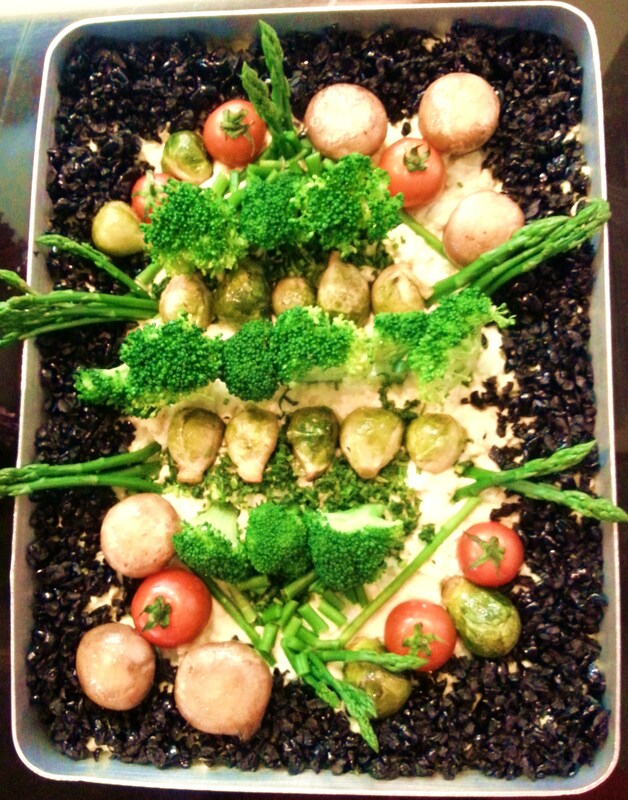 It is a garden of colourful, delicious veggies, on a bed of creamy egg-mayo mix, topped with black olive “soil” and rocket leaf “grass”. 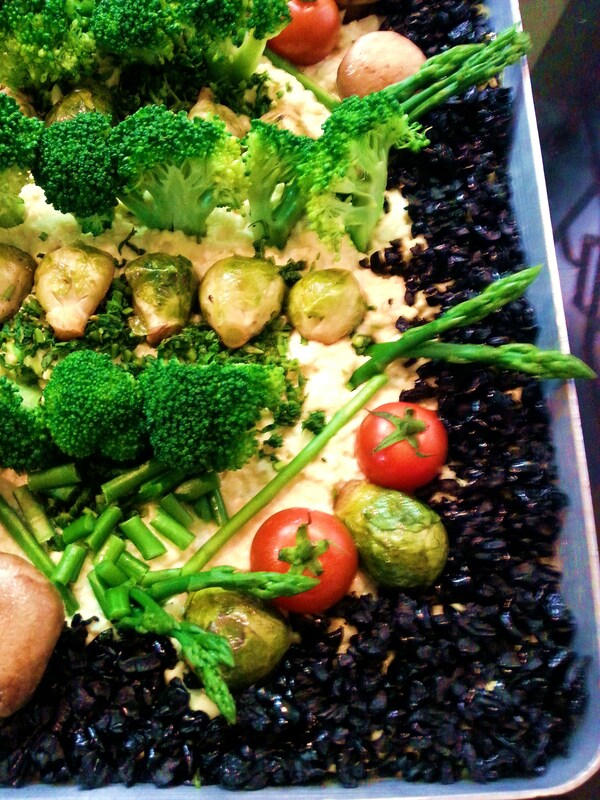 What you’ll love about this dish is that you can totally personalise it, adding only vegetables you like. There are no rules – you can “plant” your garden however you want, so go completely crazy! Here’s a look at my prep table. A handful of lettuce (I used a mix of purple and green). A bed of boiled egg and mayonnaise mixture. Chopped up rocket leaves for grass. 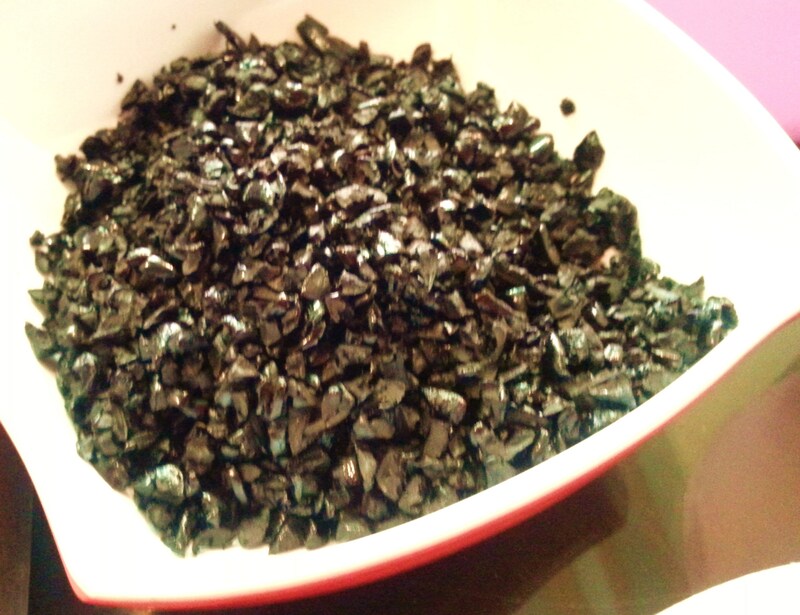 And dehydrated black olives for dark, rocky soil. Let’s see how we put these wonderful things together now, shall we? 1. 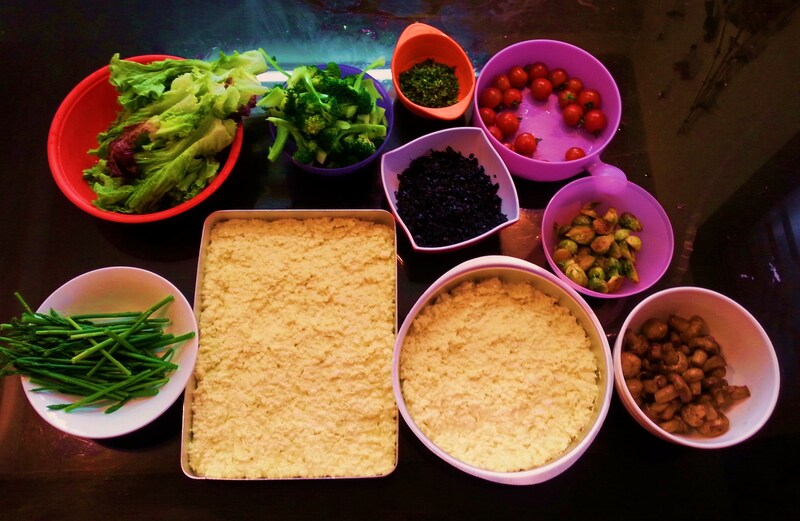 Preheat the oven to 110º C. Line a baking tray with parchment, scatter the chopped olives on it in an even layer and dehydrate in the oven for upto 4 hours or until quite dry, stirring through the tray every hour. 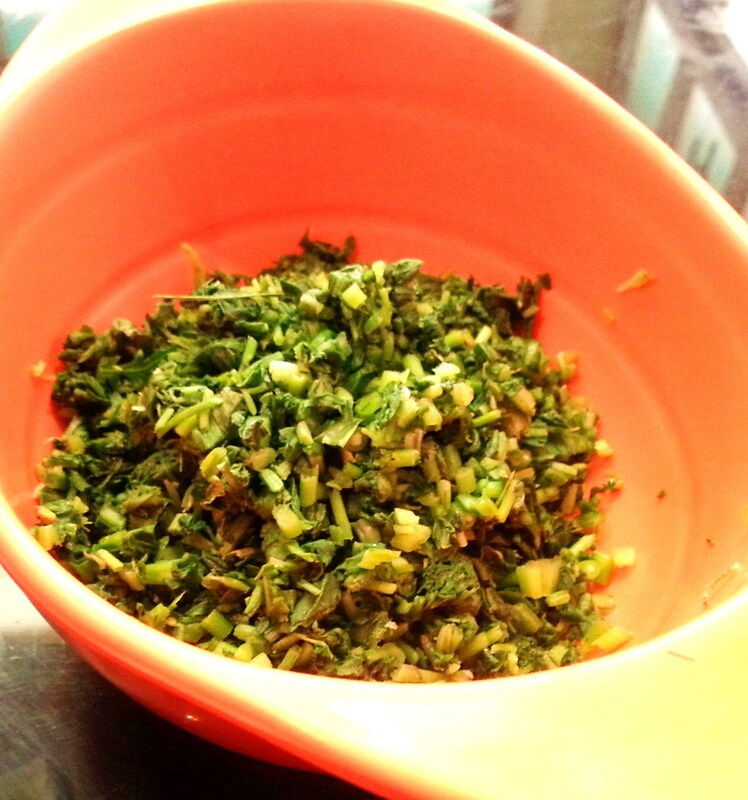 Dehydrate and then finely chop the rocket leaves in the same way, although the leaves won’t take more than an hour. 2. 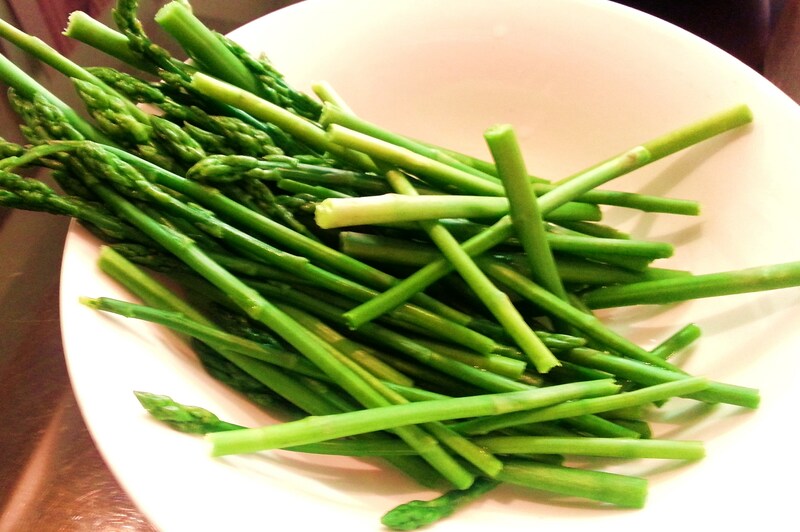 Chop off the hard ends of the asparagus stalks and blanch in salted water. Set aside. 3. 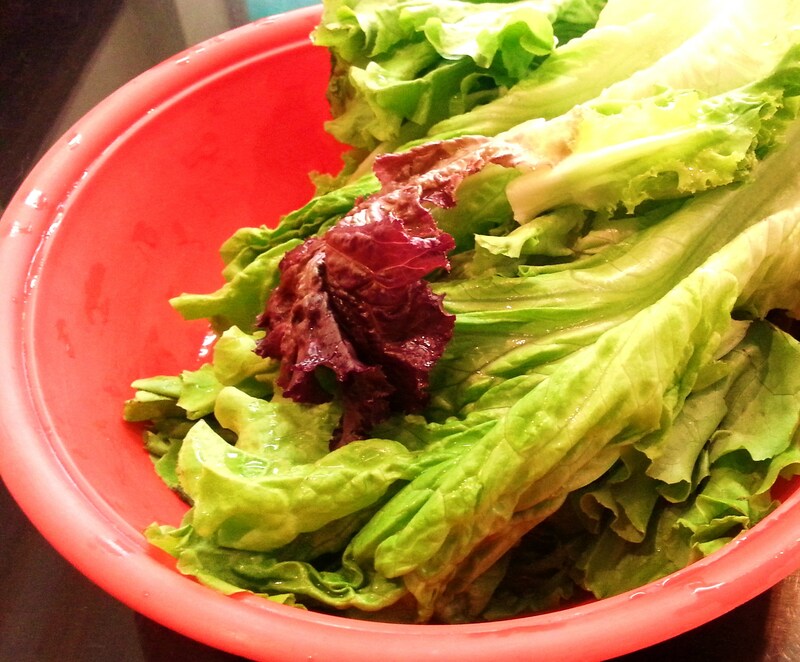 Rinse the lettuce leaves in ice cold water, drain, and set aside. 4. 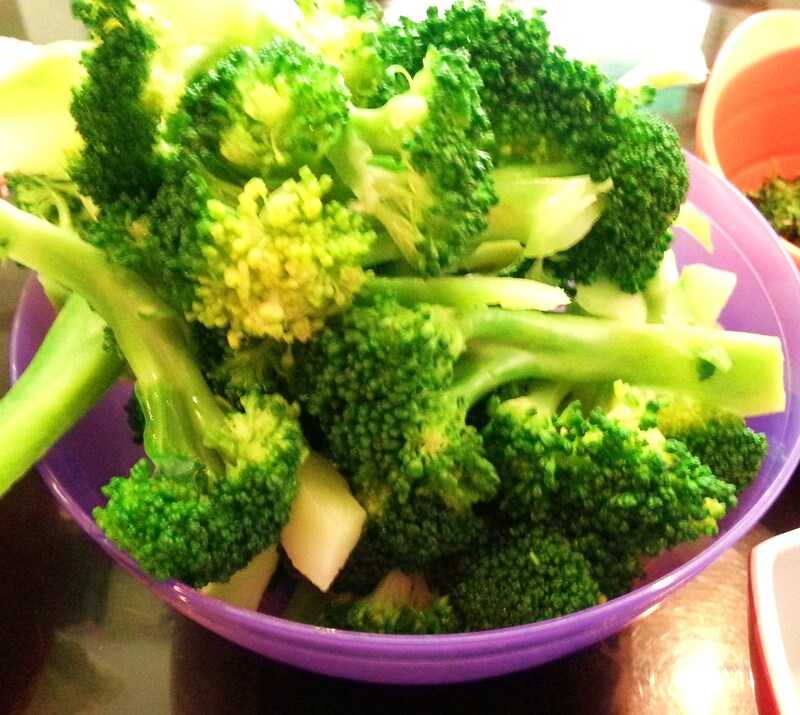 Blanch the broccoli florets in salted water and set aside. 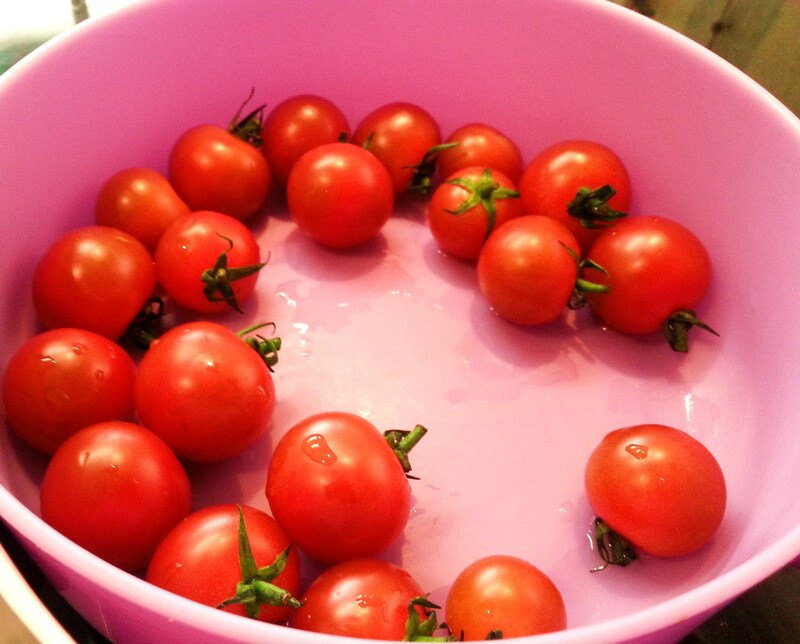 Wash the tomatoes, drain, and set aside. 5. 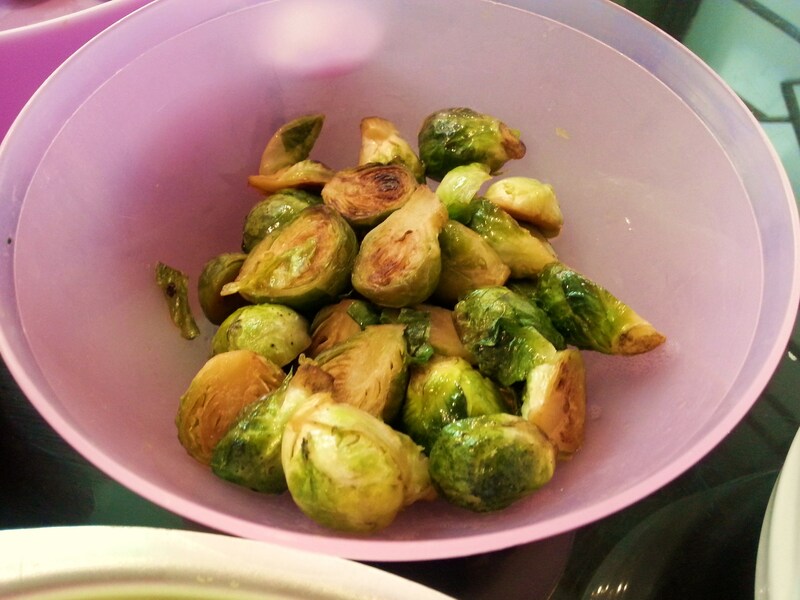 Heat a teaspoon of oil in a non-stick pan and fry the brussel sprouts (cut-side down) with salt and pepper to taste. Once golden and caramelised, add about half a cup of water, stirring over a medium flame until the brussel sprouts are tender. Remove and set aside. 6. Heat a teaspoon of oil in a non-stick pan and add the garlic. 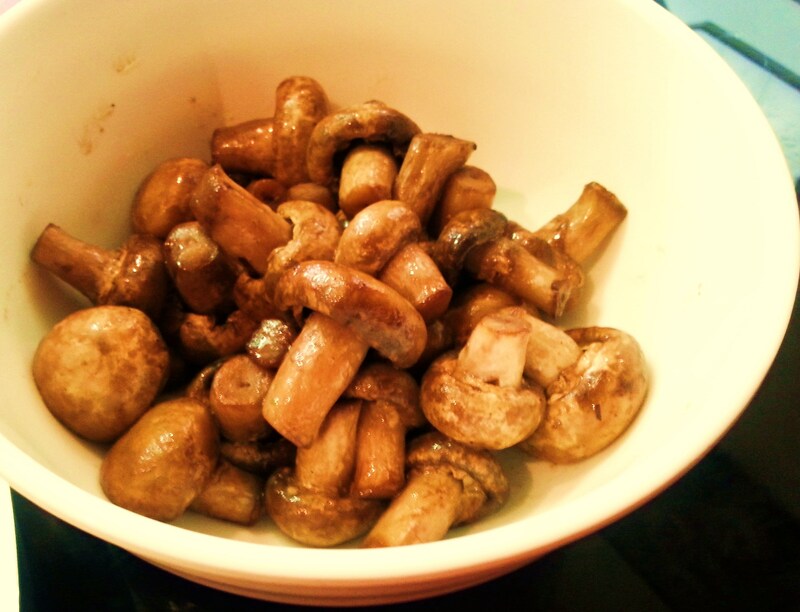 Throw in the mushrooms, season, and stir-fry until brown and cooked through. 7. Peel off the shells and mash the hard-boiled eggs with the mayonnaise to as fine a paste as possible. Taste and season with salt and pepper, if you like. 8. 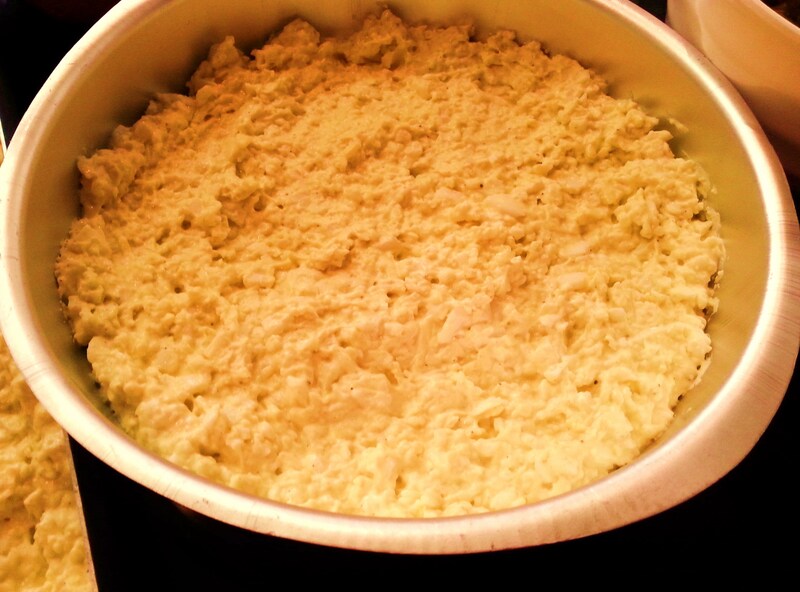 Spoon the egg-mayo mixture into a round or rectangular metal baking dish with raised edges and even out the surface. You could actually use any type of dish you like, but a metal or clay dish looks the best since it’s supposed to replicate a mini garden. Now use your judgement to scatter over the olive soil and rocket grass as you see fit. 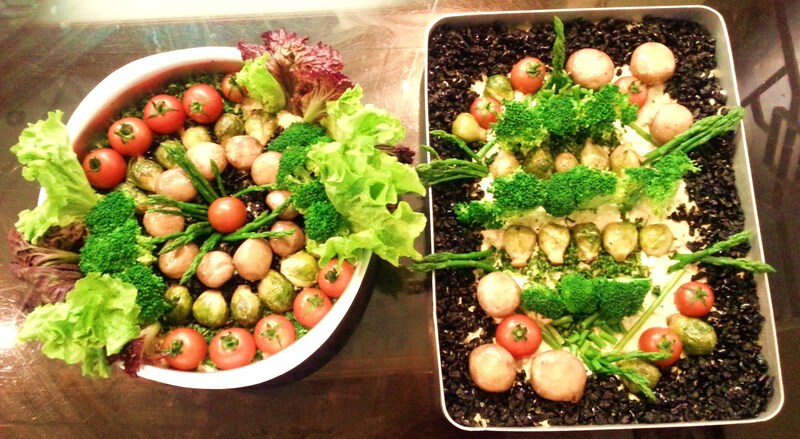 Then “plant” the vegetables, arranging them as you like, symmetrically or asymmetrically, by pushing them down gently into the egg-mayo base. 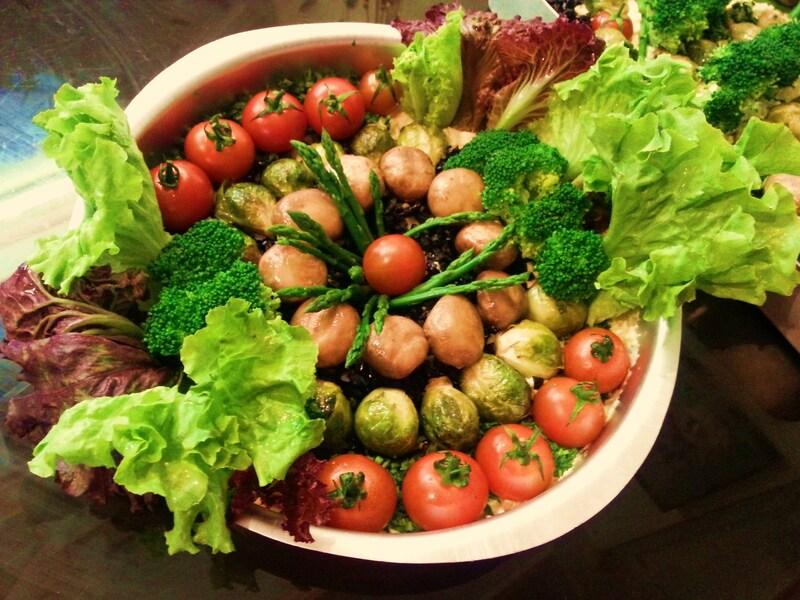 Serve with a large spoon onto smaller plates, or let your guests pick up little vegetables and snack as they please. Have a wonderful wonderful New Year! I hope 2014 is a blessed and happy time for all of us.